The future of education – books or computers. Time is changing; the world the world around us is changing. People invent new sources of information, which are modern, compact and convenient. We used to go to libraries; nowadays all of us have laptops and PCs. But what about education, can computer substitute book or not? To my mind, computer is soulless; it does not provide any kind of feelings, while book has a tempting smell and pretty shape. Firstly, there are some rare exemplars of books that can only be found in university libraries. They are hundred years old and none of the copies available on the Internet. Secondly, book is much more comfortable for eyes. Eyes get tired less and student can read more pages in a row. However, the biggest part of students prefers computers. They say that it is portable. Students can have gigabytes of literature in their backpacks and it will weight only three kilos. It seems more rational to them to use laptops. That is why all up-to-date universities have virtual libraries. I disagree with this point of view because books have already brought up billions of people and computers have not. Enormous number of extra computer facilities disturbs students from the studying process. To sum up, try not to ignore books and they will tell you the truth. Computer is a new technology and no one can be sure that it is harmless. In one thing I am sure: book cannot discharge. EduardDz писал(а): can computer substitute book or not? Зная Ваш уровень, хочу спросить: Вы намеренно убрали артикли? Имейте в виду, что такой литературный приём могут понять не все...)) И далее по тексту у Вас убраны артикли. EduardDz писал(а): all up-to-date universities have virtual libraries. нууу не знаю... может digital? 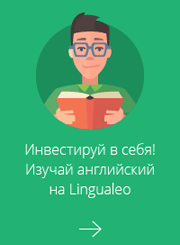 a book ну всё же! ИТОГ: 12/14 Очень хорошее эссе. Education is one of the most important parts of people`s lives. People have been studying by means of books for hundreds years. But our world is developing all the time and there is a possibility that sooner or later computers will replace books in getting knowledge. I think, this statement is true. Firstly, computers are more convenient. You do not have to carry heavy books every day but to have just a small laptop or an e-book. Secondly, computers with the Internet access have all kinds of different information by many authors. Books cannot provide it. Limited content is one of the most important disadvantages of books. Thirdly, computers are more entertaining. You may not only read something, but watch some documentary films or presentations. On the other hand, some people claim computers are too harmful for people`s health. They spoil human eye-sight. I strongly disagree with this point of view because nowadays there are computers with ink letters on their screens and they are safe for our eyes. I think, one day people will invent completely safe gadgets that will not influence people`s health at all. Despite other people`s opinion, I am still convinced that computers will be widely used in the future education while books will not be needed. Computers are convenient to carry,they are entertaining, they provide more information. IrinaLos писал(а): for hundreds years. Очень хорошая работа, можно было побольше сосредоточиться на преимуществах книг и попытаться их опровергнуть. The future of education – books or computers? Nowadays, there is the question: what is the future of education – books or computers? Some people think that computers are the best way in getting knowledge. Others consider that only books can give the necessary information. In my opinion, computers are the future of education. First of all, the invention of the Internet gives people many advantages. Students can find everything what they need. All old editions of books and different papers can be found on the Internet. Computers with the Internet access have all kinds of information by many authors. Secondly, storing of information in the computer is more comfortable. Students can take their phone or map-cases to school and use electronic textbooks at lessons. But some people disagree with this opinion. They believe that books are the best way in getting knowledge for education. Such people consider that the information from the Internet is often unreliable and has many mistakes. Despite this, I strongly disagree with this point of view. If a person wants to get the true information he or she can use the official sites on the Internet. To sum up, I’d like to say that books are the base in getting knowledge. But now there are computers which give the same information but it’s faster and more convenient. Elena_59 писал(а): the best way in getting knowledge. Elena_59 писал(а): In my opinion, computers are the future of education. First of all, the invention of the Internet gives people many advantages. Students can find everything what they need. All old editions of books and different papers can be found on the Internet. Computers with the Internet access have all kinds of information by many authors. Secondly, storing of information in the computer is more comfortable. Students can take their phone or map-cases to school and use electronic textbooks at lessons. Соединяйте предложения при помощи In addition, Moreover, и др. Elena_59 писал(а): But some people disagree with this opinion. Elena_59 писал(а): But now there are computers which give the same information but it’s faster and more convenient.